Professor Swartz is the author of Reading Philosophy, Writing Poetry: Intertextual Modes of Making Meaning in Early Medieval China (Harvard University Asia Center, 2018), which examines how poets understood and appropriated a shared intellectual vocabulary in early medieval China. Over a three-century period that is formative in the history of Chinese civilization, writers made extensive use of a heterogeneous cultural assemblage, in which such major philosophical classics as the Laozi, Zhuangzi, and the Classic of Changes featured prominently. How they understood and manipulated the textual and cultural signs of a common lexicon to produce meaning is key to understanding the literature, literary and cultural history of this formative period. Focusing on works by some of the most important and innovative poets of the period, this book explores intertextuality―the transference, adaptation, or rewriting of signs―as a mode of reading and a condition of writing. It illuminates how a text can be seen in its full range of signifying potential within the early medieval constellation of textual connections and cultural signs. She is also the author of Reading Tao Yuanming: Shifting Paradigms of Historical Reception (427-1900) (Harvard University Asia Center, 2008), which critically examines readings of both Tao and his oeuvre over a fifteen-hundred year span. This study shows that the construction of Tao Yuanming as one of China’s greatest cultural icons was a collective and cumulative process, driven by a centuries-long conversation centered on three categories that lay at the heart of literati culture—reclusion, personality, and poetry— a conversation in which varying readings of Tao’s life and works were informed by changing aesthetic and moral concerns and by the development of new hermeneutical tools and critical lexicons. Reading Tao Yuanming has been translated into Chinese: the Traditional Chinese character edition was published by Linking Press (Taipei) in 2014 and the Simplified Chinese Character edition was published by Zhonghua Book Company (Beijing) in 2016. She is the principal editor of Early Medieval China: A Sourcebook (Columbia University Press, 2014). The first of its kind, this volumepresents a broadly-based selection of important texts from this formative period in the disciplines of literature, historiography, art history, and religion. It aims to provide a new organization of texts and new ways of conceptualizing the period, making available many texts for the first time in English, along with critical scholarship written by experts on the various subjects. Early Medieval China was named "Best Reference Title" by Library Journal in March 2015. She is also the principal editor of Memory in Medieval China: Text, Ritual, and Community (Leiden: Brill Press, 2018). The essays collected in this volume investigate various aspects of memory in medieval China (ca. 100-900 CE) as performed in various genres of writing, from poetry to anecdotes, from history to tomb epitaphs. They illuminate ways in which the memory of individual persons, events, dynasties, and literary styles was constructed and revised through processes of writing and reading. She is the translator of The Poetry of Xi Kang (De Gruyter, 2017), part of the third volume in the Chinese Humanities Library. She provides the first complete translation in a western language of the poetry and fu of Xi Kang. Most studies and anthologies have focused on Xi Kang's essays, whereas his achievements as a poet writing in the formative years of the Chinese poetic tradition have been largely overlooked. 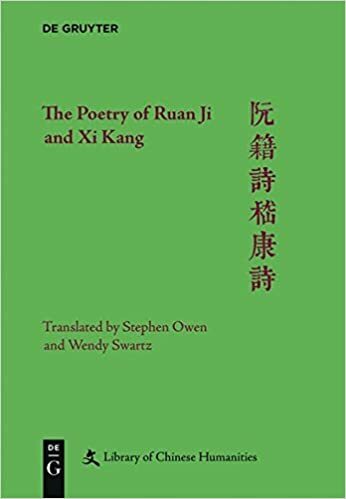 This translation presents the complex, nuanced poetic works of Xi Kang, along with a substantial introduction, explanatory and scholarly notes.